Upon arrival in St. Petersburg, transfer to the deluxe hotel Kempinski, Moika 22 ***** located in the historic city centre near the Winter Palace and legendary Hermitage. In the evening gather for the warm-up meeting with your guide or spend the rest of the day exploring central St. Petersburg on your own. 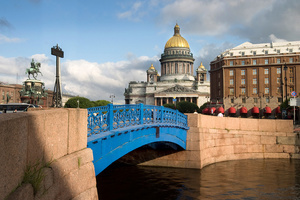 Arrive in St. Petersburg via the Neva River and disembark the MS Volga Dream . Enjoy a city tour of St. Petersburg, including Peter and Paul Fortress, burial place of the Romanov monarchs, and Nevsky Prospect, where fine shops, cafes, and museums are found. Following lunch enter the renowned Hermitage Museum, home to one of the most important collections of European art in the world. This evening check-in at the five-star Kempinski Moika 22. This morning travel to Catherine the Great’s Palace, which houses the extraordinary Amber Room, its six tons of solid amber deftly carved and framed in gold leaf. Once deemed the “eighth wonder of the world,” the room was stripped by the Nazis in 1941, but majestically reconstructed in honour of St. Petersburg’s 300th birthday. 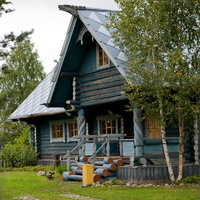 After lunch at Podvorie, a restaurant in a traditional Russian log house, return to St. Petersburg and spend the rest of your afternoon at leisure. 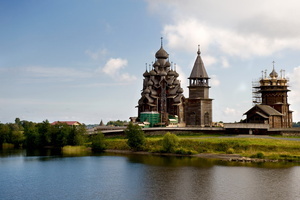 Be on deck as we navigate the Svir River toward Lake Ladoga, Europe's largest freshwater lake, past a shoreline dotted with graceful willows, alder trees and stately pines. Step ashore for a brief visit to the vacation village of Mandrogi to experience daily life in a quaint wooden village. 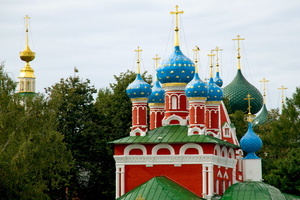 Proceed with orientation city tour of Moscow and then visit the famous Novodevichi Cemetery which holds the tombs of Russian authors, musicians, playwrights, and poets, as well as famous actors, political leaders, and scientists. 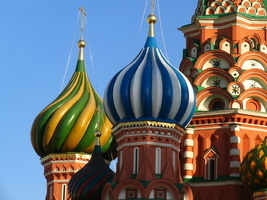 Explore Moscow’s Metro, known for its architectural splendour , and check-in at the five-star Marriott Aurora in Moscow. This morning enter the Kremlin for a visit to the Armoury Museum to view its collection of opulent coronation finery, hand-forged armour and weapons, royal carriages and sleighs, and dazzling Faberge eggs. Continue to the beautifully frescoed 15th-century Assumption and Archangel cathedrals. Begin the day with a visit to the famous Tretyakov Gallery, the first museum dedicated exclusively to Russian fine art. 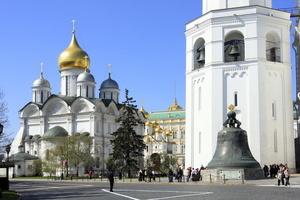 Then proceed with the city tour of Moscow and Cathedral of Christ.